Precision Tweezers for tweezing ingrown and other hairs. 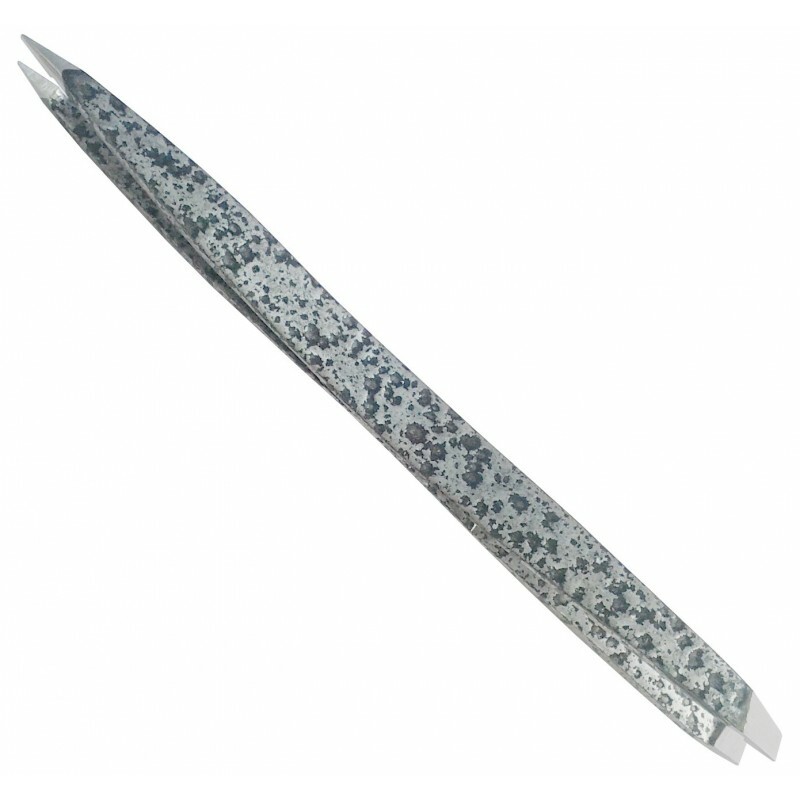 With its unique design you will need only one tweezers for all your tweezing needs. - Pointed tip for removing splinters or ingrown hairs. - Slanted tip for general tweezing or eyebrow shaping. Clean Tweezers after each use. Disinfect tips of tweezers in alcohol. Protect the tips of tweezers with cap and keep in storage box or tube. Spring tension can be increased by gently pulling the two halves of the tweezer apart. Once you have increased the spring, you cannot decrease it. Never drop tweezers. Dropping will dull the tip and throw your tweezers out of alignment. Brush hair in the direction of hair growth. Isolate the hair you are about to tweeze. Tweeze in the direction of hair growth. Pull one hair at a time. Pull gently and smoothly, making sure not to yank. Do tweeze in the direction of hair growth. Do open your pores with a hot washcloth to make tweezing easier. then tweeze the hairs that fall below the line. Don't use creams or moisturizers that can cause the tweezer to slip. Don't tweeze nose hairs or hairs growing out of moles. hold the pencil diagonally against the outer corner of the eye pointing up to the brow bone. Brow should extend slightly beyond the eye at which point it should taper slightly down. Not Sure How Much to Tweeze? that it's better to tweeze too little than too much. Its better to have one tweezers like this than buying 2. Precise and beautiful. Product appearance slightly different than picture. Quick shipping. Great product. Plucks precisely and comfortably. 10 out of 10.